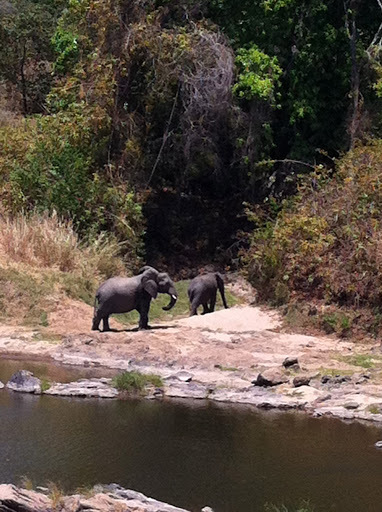 If you’re like me, you are in awe of wild animals in nature. 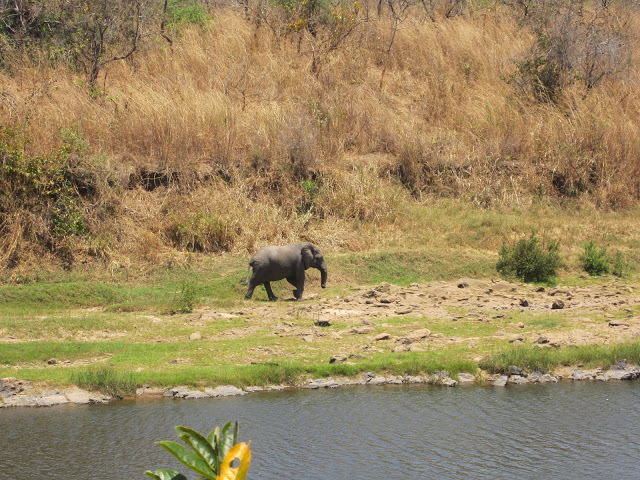 You can’t help but stare, slack-jawed, at a slow & calmly lumbering African elephant as he strolls calmly before you. 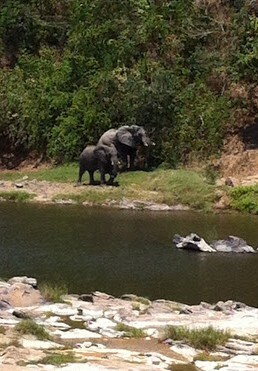 And you just can’t get enough of watching animals in their natural environment. 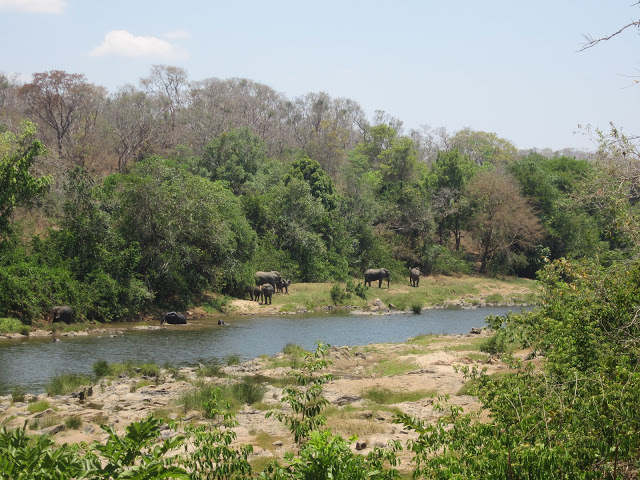 If you’re like me, you would love coming to the Nkhotakota Reserve (whose name is derived from the Chichewa for “corner corner”) to visit with the amazing elephants there. This post will probably wind up being more pictures than words, because I’m not sure that words could do this experience justice!! 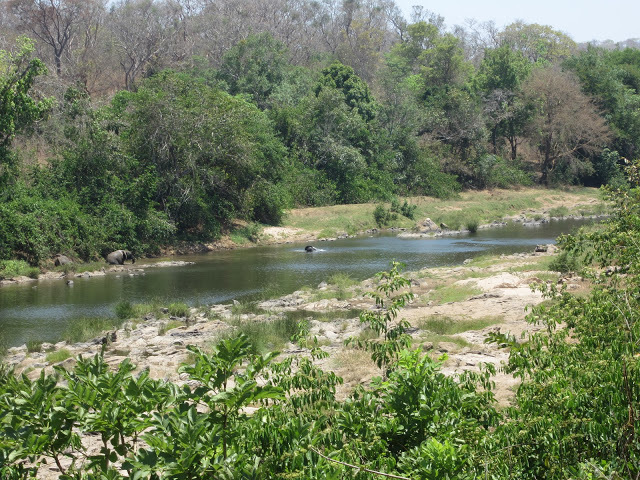 One of the wonders of our visit to Tongole was that when we stepped out onto our balcony in the morning, we saw freshly snapped trees…. 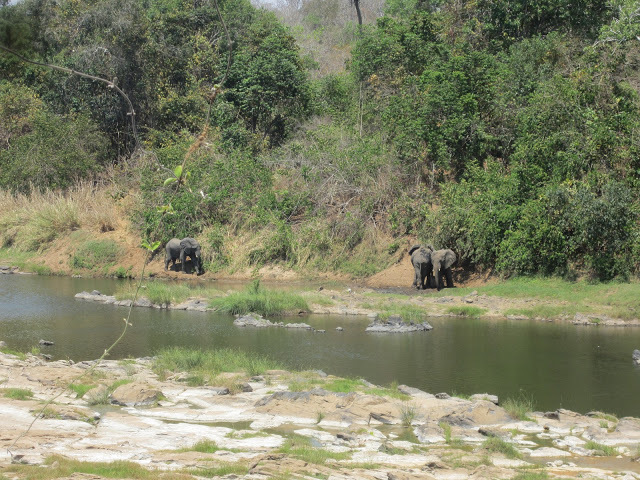 a sign that the elephants has been there the night before – right in our midst – and we hadn’t even heard these gentle giants, right outside our little chalet! Amazing!!! F and I looked at each other in disbelief that we could possibly have slept through that, but apparently we did!! There’s something about sleeping in an open-air chalet (it has a thatched roof, but the windows and doors are all elegant wrought iron, with no glass, so totally open) that lets you sleep very deeply, I guess!! 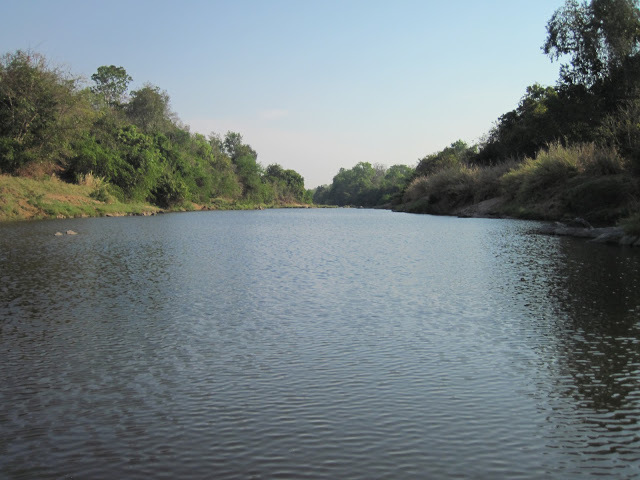 We woke up in our chalet, well-situated near the river. 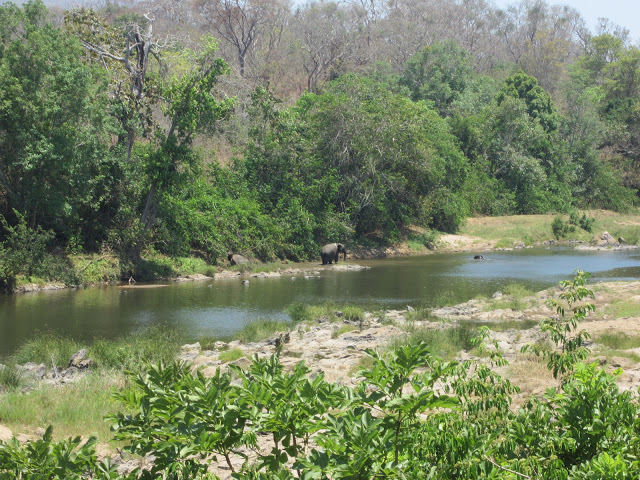 This river (the Bua River, I believe) is right below you, and the lodge as well as the chalets all face the river, giving you a good view of where the elephants appear periodically throughout the day. 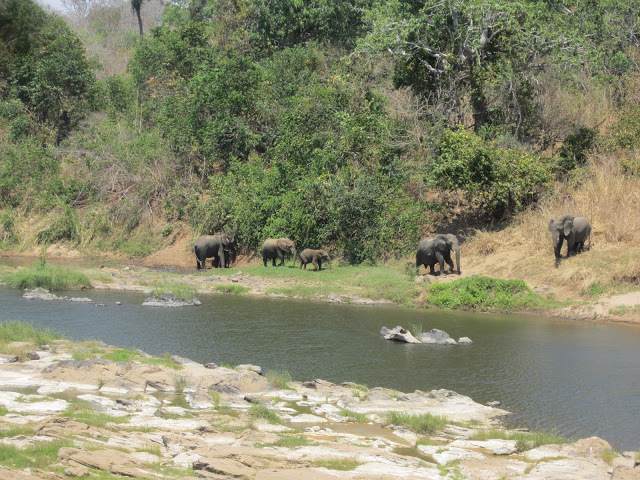 It’s fantastic to find yourself in a place where the elephants practically come to you!! 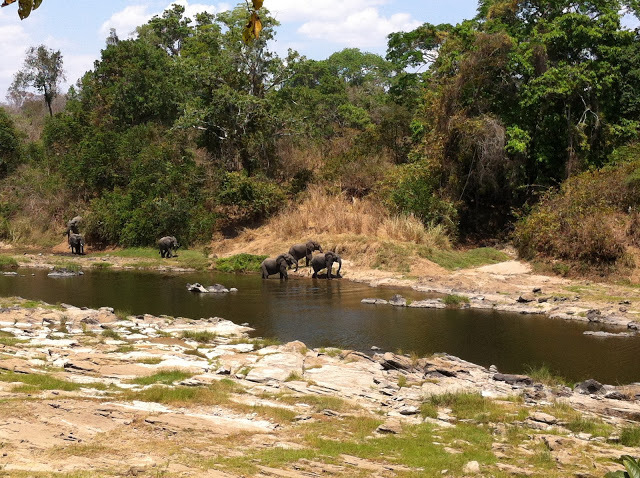 And it should be noted that that’s without any feeding or luring or any such tactics to encourage them to come, it was just a strategically well-chosen location. 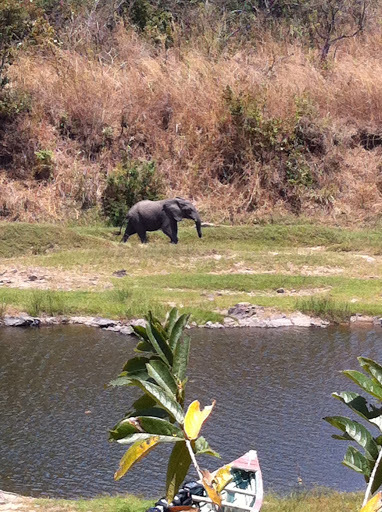 And it isn’t only the elephants that come by! 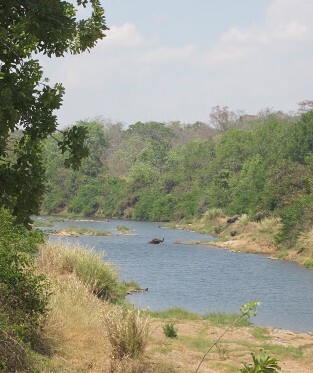 There are monkeys, there are all kinds of birds (Nkhotakota is home to some 280 species), some times (thought not on our visit) I’m told you can see Bushbucks, Hyenas, Buffalo, Lions and Leopards. 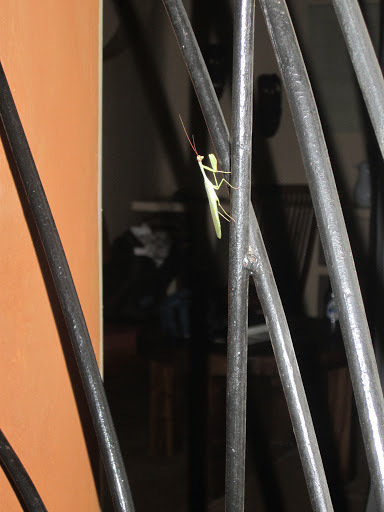 We also got to see this little guy (a praying mantis) visiting our wrought iron chalet door! 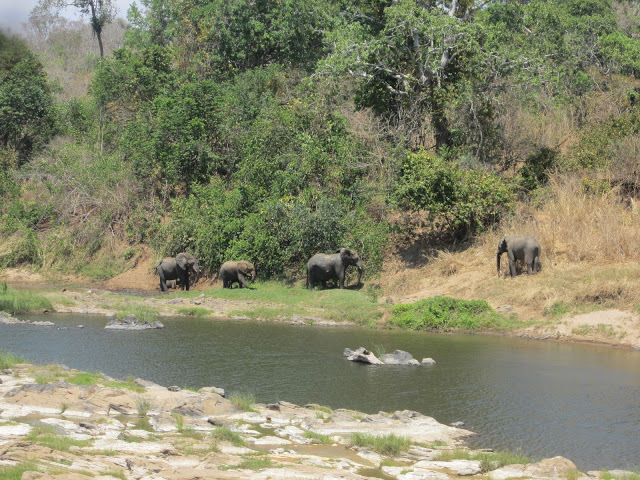 Elephants coming down the river towards the lodge – a picture that would have been better with a zoom lens! 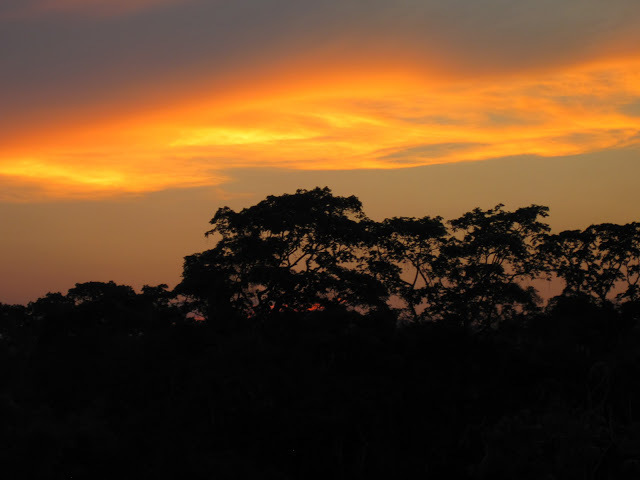 I have to say that I only have one regret about this trip…. not who I went with (loved the women I got to know or got to know better on this trip! 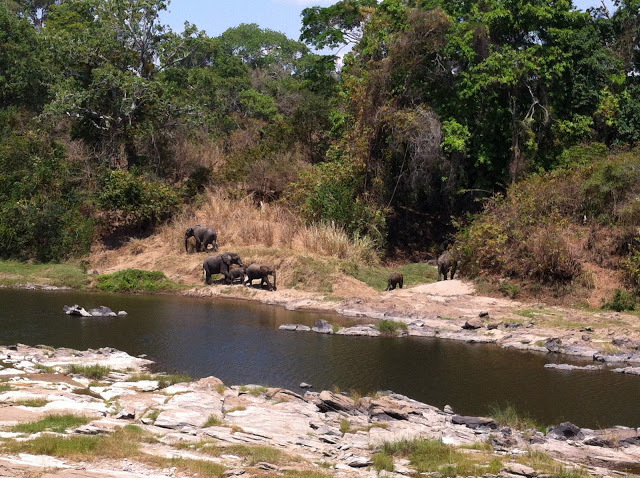 ); not where we stayed (Tongole was AMAZING! 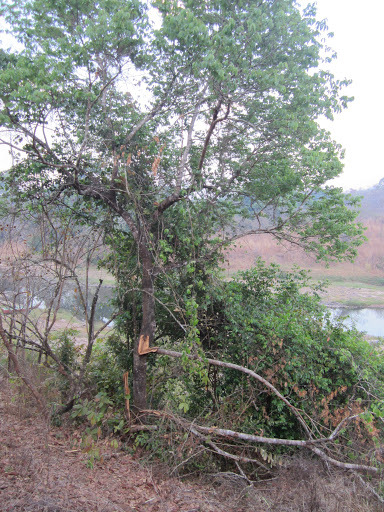 ); not when we went (weather was fantastic!!)…. 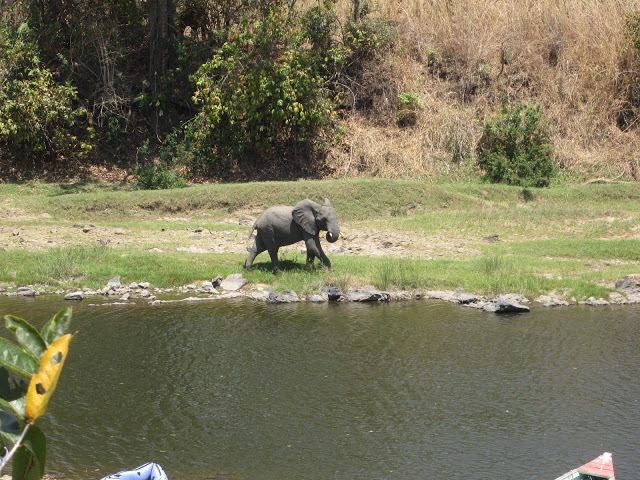 only that I didn’t buy a camera with a better zoom lens before I went!!! 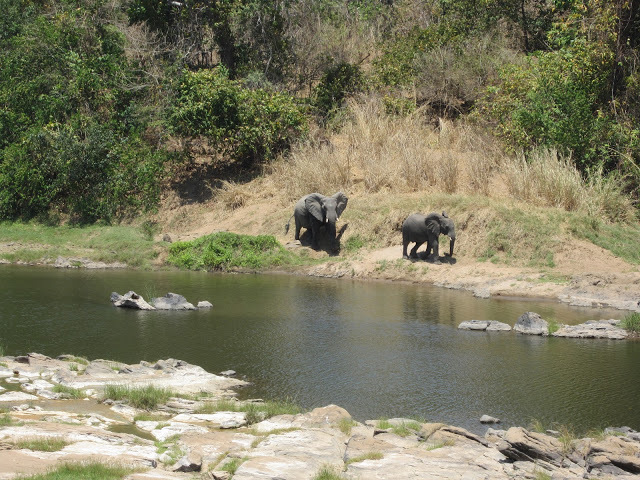 Luckily, at Tongole, the elephants come pretty close to the lodge so you can get some great pictures even without a zoom lens. 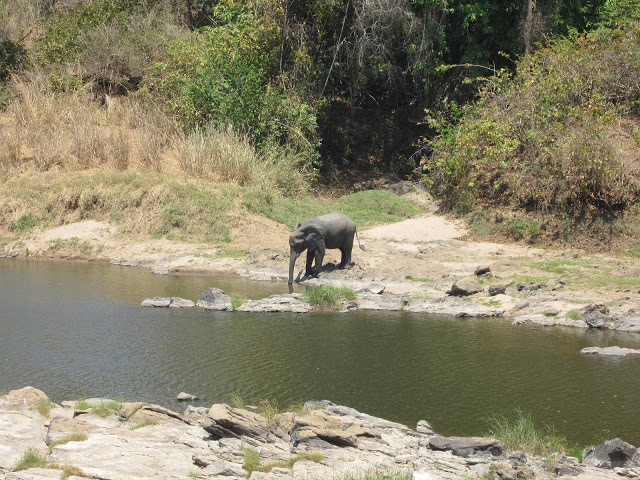 Here are some shots of my favorites – elephants walking, elephants drinking, elephants bathing, and even elephants seeming to play in the water. I can’t even find the words to describe the wonder of being near these beautiful creatures, so I’m going to stop trying and let my pictures tell the story. 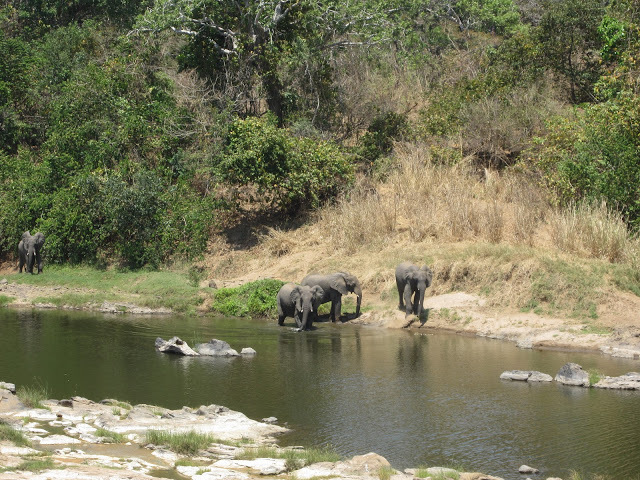 I hope you enjoy these magnificent mammals, and who knows, maybe it will inspire your own visit to Malawi & Tongole!! 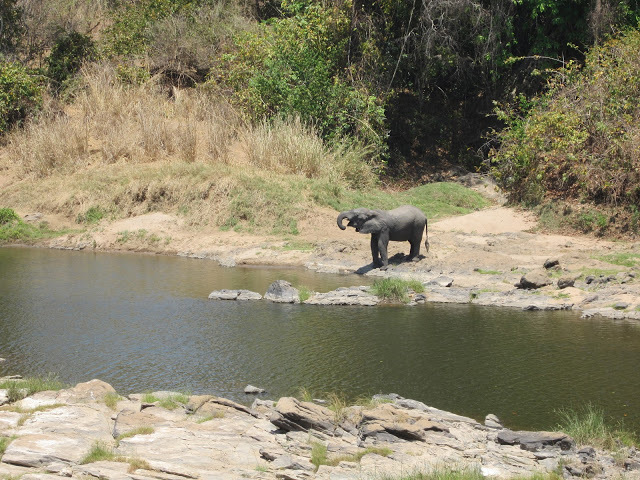 You can see the Lodge’s canoe in the foreground, so you can get a sense of how close this elephant really is! Look at the little cutie in the middle!! 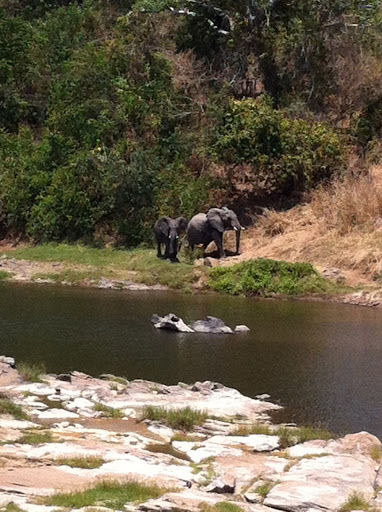 Watching elephants down-stream from our balcony – note there are one or two in the water! It’s hard to see, but there is one on the left who is laying down in the dirt, one in the middle starting to go in the water, and one on the right who is fully submerged, but for the top of his or her head! 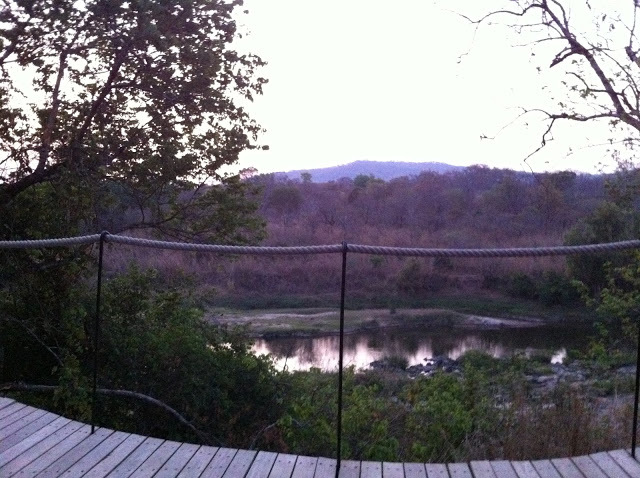 Perfect sunset, after a perfect day of elephant watching. I promise more story-telling in the next post!